E-books (or eBooks) have had a long history, yet slow growth as a consumer product. It’s been 10 years since e-books began to show up online in places like AOL, before the dawn of the “world wide web,” and a decade later e-book sales are but a blip in a single NY Times Best Seller’s revenue sheet. 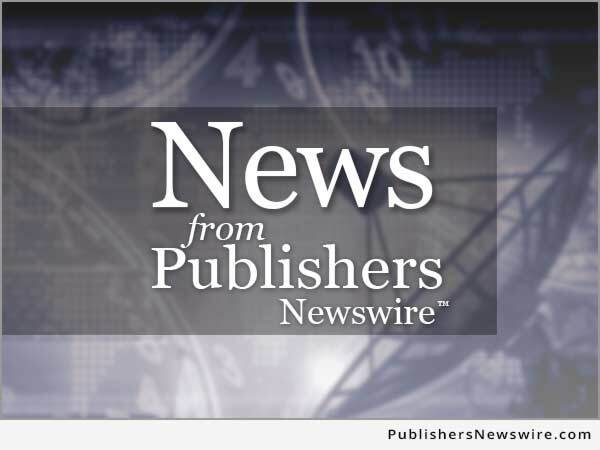 According to the Open eBook Forum, a trade group for electronic publishers, sales in the first quarter of 2004 were $3.23 million, a 28 percent jump from the prior year. Over one million units were reported sold in 2003. Arguably the widest “distribution” of e-books is actually facilitated through unauthorized conversion of printed books into electronic format using OCR (optical character recognition) software and a scanner, or Adobe Acrobat’s “capture” feature. Thousands of books are now being circulated without any compensation to the author or publishers, which is evidence of legitimate concern for the need of digital rights management (DRM) technologies before major publishers make e-books a staple of their marketing. And, ironically, as the market continues to present itself, some online book sellers have stopped selling e-books in favor of only offering print-on-demand (POD) versions of small press titles. For the average joe or jane, however, e-books are still in need of the comfortable reading device, that’s either affordable, or disposable/recyclable in the form of some type of digital paper with activated ink capsules. With new technologies coming around the corner, the growth of “electronic reading” online, and the proliferation of portable multimedia content devices, e-books have the potential to “take off” finally, but it’s unlikely they will ever replace printed books and the “joy of reading” which is so dear to so many. What then is the future of the e-book? Christopher Laird Simmons is the founder of Neotrope® Press (formerly Mindset Press). He has been a self-publisher since a teenager in the 1970s, and produced his first e-book in the nascent Common Ground format in 1994. He has also written widely on the subject of portable electronic document formats and digital rights management (DRM) for national magazines like Print on Demand Business, and has been interviewed by TrendWatch for reports on the PDF industry. Beverly West is a best-selling author whose series, Cinematherapy, the Girls Guide to Movies for Every Mood, has spawned six sequels and daily TV show in primetime on WE, Women’s Entertainment, as well as a weekly column in Hampton Jitney Magazine. In addition, Bev’s cookbook, Culinarytherapy, The Girl’s Guide to Food for Every Mood is now a weekly column with Knight Ridder. Bev has also written for many national magazines including Self, Redbook, Body and Soul, and TV Guide. Michael Archer is the founder of Firebomber Publications, a small press dedicated to providing exciting firefighting fiction to the general public. Fifty percent of the profits from the sale of Firebombers Incorporated books and merchandise go to firefighting relief agencies supporting the families of injured and fallen firefighters. Ron Pramschufer is one of the founders of RJ Communications; a New York City web based publishing services company which operates at BooksJustBooks .com. Ron has over 30 years experience in the printing and publishing industries. He is the co-author of the book, Publishing basics – A Guide for the Small Press and Independent Self-Publisher and edits the monthly publishing oriented newsletter, Publishing Basics (PublishingBasics .com). Bev: I do see a growing market for e-books as the public becomes increasingly accustomed to on-demand entertainment, that doesn’t require them to reach any further than their remote control or their internet screen to acquire the media they are looking for. So the immediacy of e-book is a big selling point, however I also believe that reading online is a very different experience than holding a book and reading in a comfy chair while sipping tea with a cat on your lap. Chris: Right now I think e-books have their place, but it’s not yet a broad-appeal form of delivering book content. I think it is a great way for first-time authors to put their work out there, and it’s also a great replacement for the traditional “fanzines” which were popular in the 70s and 80s (I published a whole bunch of these in the late 70s). While the “blog” is turning into a catchall for many types of opinion publishing, competent fiction and non-fiction books, and those gorgeous coffee-table books are not in jeopardy from the e-book format. One great use for e-books, which has only become a recent phenomenon, is for libraries. Some librarians which have PDF-enabled collections now, can “loan” out copies of rare books which could not otherwise be provided to the public. I also think the Open eBook Forum’s sales figures are a good “indicator,” but are not in any way complete, as they only count those reporting sellers, and don’t (yet) take into account many e-book aggregator sales sites. And they are not taking into account the thousands of home-brew e-books being sold off personal websites with PayPal enabled ecommerce, or the “free” books that solicit donations, that are a notable grassroots movement the media is unaware of. Back in the 90s, when the venture capital money was flowing faster than Niagara Falls, the e-book industry “PR Machine” predicted a “Revolution” during which time the printed book would quickly go the way of the dinosaurs. I remember attending various trade shows during this time and seeing huge exhibits of the e-books publishers as well as other e-book suppliers recounting their success stories. While I had never actually seen an e-book, it sure seemed like something I was missing out on. The way these e-book vendors made it appear, I was the only person in the universe who was not buying books in their format. It was really making me feeling old having let such a dramatic event pass me right by. However, once I left these exhibit halls and re-entered the real world I couldn’t find an e-book anywhere, or even anyone who even knew what one was. The truth about this e-book “revolution” is that is was simply a figment of the imaginations of those in the e-book industry and the “revolution” only existed as long as the venture capital lasted. The venture capital ran out some time ago. The concept of sitting at a computer, or other similar device, reading a book never made sense to me. Looking something up on the Internet or downloading a sample PDF chapter is one thing, but a whole book? I just don’t see it. And I am not alone. Chris: As an experiment, I read the first Harry Potter books in “unauthorized” e-book format (I own the hardcover editions as well), on my little HP notebook in Winter 2002/3. It was actually not unpleasant because once I determined the right color scheme (i.e., white text on blue background) and a size that was comfortable, margin width that didn’t hurt my eyes from scanning too far left-right over and over, it wasn’t so bad. Of course, I was doing this curled up on the couch, in front of the fireplace, to complete the experiment. I can’t say it made me want to give up printed books, but I can see my kids (not yet born) finding it to be “normal.” If I had a tablet PC, I would almost find it – dare I say it – comfortable. It was nice to be able to make the typeface larger, as my eyes are not what they were as a youth and I’ve been too stubborn to get contacts or glasses. Michael: E-books are a great idea for those who don’t work behind a computer all day, or who don’t mind curling up with a good computer in front of the fireplace, but generally, I don’t know that they will ever really catch on. At Firebomber Publications, we tried marketing our first novel, “Firebombers Incorporated,” as an e-book before segueing to paperback and the resultant demand was underwhelming. Once the paperback version came out, many more copies sold in that format than the e-book style. I decided to send some reader response material out about this and found out some interesting things. First, people were not really enthused about having to read a book on a computer after spending all day at work on a computer. The only exception was one engineer who read the e-book on his work computer during his lunch break, but his reading time was so limited with this approach that he had a hard time remembering all the plot details from week to week. Ron: I ride the train each morning, to my office in New York, along with about 400,000 other commuters. I made it a point to start observing what people were doing with their time riding to and from the city. The morning trip is dominated by people reading the newspaper or catching up on a little sleep. The seats on Metro North were designed to comfortably seat 2-5 pigmies so you can imagine what the rush hour commute is like. Add to this, the image of all these people trying to read the newspaper. You would think this would be the perfect setting for the use of a bunch of e-book readers. The commute home is a little different in that many of the morning newspaper readers have turned into book readers and the morning sleepers are reading the newspaper they didn’t read on the trip in. In all the years of riding the train I have only seen one e-book reader. I was so shocked when I saw it, I moved over to the person to ask him about it. As it turned out, he worked for BN.com and had been given the reader at no charge. He told me, in no uncertain terms, that if it were up to him, he would not have it. Years later, the commute is still pretty much the same. A few people are sprinkled here and there watching movies on DVD players or laptops, and a few more talking obnoxiously on their cell phones to who knows who, but there are still no signs of anyone reading an e-book. Michael: Another problem is that people like to take paperbacks to the beach or on trips and few if any really want to invest in the portable readers to make the e-book truly mobile. Some people like to collect books and aren’t enthused about the prospect of having a signed CD in their collection. In selling my books, I tried including some illustrations with my CD to add features that couldn’t be included with a paperback, but, since people could access these images from my website as well, that incentive went nowhere. Chris: I think it’s very valid that the must-have e-book reading device does not yet exist. There is no Apple ePod, or iBook that has both the cool factor and usability to take the world by storm (although the new Sony Librie is pretty nice) and I think will succeed where the Rocketbook/Gemstar eBook device failed – the problem with the last Gemstar was that it wasn’t different enough from simply reading a book on your notebook or PDA to warrant the purchase. I think RCA came out with a new iteration under $300, but I’d find this hard to justify versus a PDA. Certainly some people are now reading the bible on their iPod, but little snippets of wisdom fit well into the tiny window, while a full fledged book would not be practical on such a small device. I’m hoping that the digital paper/ink formats will be the panacea that digital book companies have been awaiting with baited pixels. It’s estimated we’ll see some practical devices in late 2006 (the Sony Librie is somewhat based on this technology, and is available in Japan only), so that’s when I think the next bump will come in electronic books people can “read” versus simply reference. Michael: When I first decided to try an e-book format, there were a number of booksellers on the web who dealt with practically nothing but e-books. Since that time, I’ve noticed that more and more of these vendors have either gotten out of e-books for the most part, or have required those who market e-books through their web stores to also sign up for Print-On-Demand (POD) programs with limited (and expensive) print runs. I suppose that’s the only way they can make any margin on the less-popular e-book version of the tome. Chris: I don’t think that e-books will ever replace printed books. Even with the various digital ink solutions, the permanence of organic ink on paper has many attractive features. It’s unlikely a future archeologist will be able to even read the data off a hard disk or optical disc buried in the sands of time, but books, scrolls, and manuscripts have survived hundreds of years. A well printed, well-bound hard cover book can last for much longer than digital media (as far as readability). So, for collectors and those who enjoy reading with a visceral experience, a book is still unique. On the other hand, I think some forms of published media like newspapers are ultimately doomed because of the time-lag in information delivery, and the inherent temporary nature of the format. A recent study shows newspaper circulations dropping in general. In fact, I cancelled my LA Times subscription because I was not reading it. There was nothing compelling enough for me to keep getting it, and they mangled the Calendar section from a magazine to just another news section. I can get news online or via cable TV “right now” and my morning read online has news from the past hour, not the past evening. Bev: I definitely see that e-books have an increasing place in the personal libraries of America, I do not think that it will ever replace hard copy completely. Michael: Until a user-friendly reader is made affordable enough to compete with paperbacks (or even hardcover books), e-books simply won’t go anywhere. Ron: I have a personal theory on this whole paper vs. E-book thing. I believe it was Freud who said your personality is developed by the time you are two (or something like that). With that in mind, take a look at your children or grandchildren under the age of two. Do you sit down or lay down with them and read them a nice picture book or do you lay down with them and read them a nice e-book? A book is more than just words on paper, especially to a child. The touch and feel, even the smell and, to a one year old, the taste makes a book unique. By the age of two, these children are “book” people and will continue to be book people as long as they are alive. Don’t believe me? Look how many kids under two are set in front of a television to be entertained. Mine were no exceptions. Wee Sing, Sesame Street, Wiggles or the Care Bears have babysat more then one child. Are these kids now TV people? You bet they are. Chris: It’s funny, though. Ten years ago when I was working to help launch a couple of mail order catalog companies, (MacMall right before the Mosaic “web” browser came out, and then DirectWare) the popular argument was that online shopping would never replace traditional print catalogs, because women would always prefer to curl up by the fireplace and dog-ear fashion catalog pages or circle items. Certainly the online store we launched in 1995 died because it was too far ahead of the curve to succeed against printed catalogs, but now there is a critical mass of people online. This has greatly impacted the publishing world for direct mail and catalogs. I get about 1/10th the holiday catalogs that I did ten years ago even though I and am on more high end customer “lists.” When I was a kid, we’d circle things in the Sears wish-book; now kids have online tools to help them prepare a wish list for santa complete with price comparisons and photos, and where to buy for parents. I think there will ultimately be some form of electronic book that works – like for technical information that changes every six months. I recently started using a product called Cakewalk Sonar XL in the summer of 2003. At the end of 2003 it went to version 3.0, and now in October of 2004, it’s at 4.0. I bought a couple of “expert books” for the program, but they were out of date in as few as five months! An e-book and an inkjet printer output would make more sense to me today, then recycle the paper when a new “book” comes out. With a decent e-reader device, you could have a hundred books “online” in his or her hand. Spending $30 for a book that is obsolete in six to eight months makes no sense. This has also been a problem for people who buy books for topics like learning Macromedia Flash, which went through three versions with substantial changes in about the same timeframe as Sonar. I have two $35 Flash MX books on my shelf, which don’t have the information on MX2004 which came out a few months after MX. I won’t buy these kinds of books ever again! I would buy the ebook for $15 because I can print the chapters I need, or look something up, the dispose of it when the new “edition” comes out. This makes a lot of sense to me. For research e-books are the clear winner, since they can be searched internally, can be searched via the web (Google searches and archives Acrobat PDF content), and support bookmarks, and note taking in the document. So, for me, this means that currently the ideal type of book that can work for the format is likely technical or time-sensitive, and not the great American novel, or latest socio-political thriller. With the eventual arrival of digital paper and ink, e-books and such content will become more viable. Other future tech that will make e-books more popular will be better voice synthesis and the ability to have smart media in your car or portable phone, which can read the contents of a book out loud in an audio-book fashion. Ron: e-book people are still touting e-books. A recent article proclaims that “Record E-book Sales Recorded in First Quarter of 2004.” Sounds like the “revolution” is alive and well until you figure that the 1st Quarter “record” of 421,955 copies for the entire e-book publishing industry is just about equal to what the “Swift Boat” guys sold of their printed book in a couple days. While better than a “poker in the eye,” it’s a long way from the predicted “revolution.” I guess only time will tell. Remember, it took a while for the laser disc to morph into the DVD. Keep your eye on those one year olds. The day you don’t see any printed books on their bookshelves and their parents reading stories to them from a computer, it is time to jump on the e-book bandwagon. Until then, my money is on the printed book. Additional comments on this subject by Doug Powles, CEO of Colligo Corp. The article is aimed the average Joe or Jane. But let’s Include Sally, who is blind, Ken who has severe dyslexia, Ramon, who grew up using English as a second language and Fred who cannot read past a grade 5 level. Take all the Sallys, Kens, Freds and Ramons and you are talking over one third of our population….so there is no average. Nothing Gives You a Greater Life than a Book. But a printed book is not accessible to these folks. 26 states have passed the accessible textbook act, giving the content in accessible format or e-books. With available software, these people can now enjoy what the average Joe or Jane enjoys. But the publishers are dragging their heels and will not come into the 21st century. However, new laws, the copyright law of 1996, Fair Use Act, Sec. 508 and others will drive the antiquated publishers out of business. These laws mandate that all information be available to all people in an accessible manner…an e-book is that manner. This pertains to any agency talking public funds, from libraries to schools, court houses and more. Further, the 26 states will not buy from publishers who do not supply accessible formats. The publishers just don’t get it, why don’t they compromise and put a CD in the back of their books — it’s a win win for everybody. They seem to forget that their next generation of readers is the kids who are the computer generation and more and more schools are going completely digital. Industry Trade Group, has e-book “best seller” list. Digital books in PDF formats. Offers $99 ebook reader (rebranded GEB1150) with $20 content credit. 7,500 titles priced about the same as printed books. 20,000 titles in 50 categories. Simple, lean FREE ebook reader for Windows and Pocket PCs that can read HTML, TXT, RTF, PDB, and PRC (not secure) formats. 1,800 publicly-available ebooks from the UVL Etext Center in MS Reader and PALM format. Free eBook authoring and conversion tools for creating MS Reader format eBooks from MS Word documents. Acrobat PDF resources online publication from Ziff-Davis. Important Note: The above list was prepared Fall of 2004 and may be obsolete by the time you read this, due to the fast-paced changes in the field and the World Wide Web. This article and all content is Copr. © 2004 by Christopher Laird Simmons. All Rights Reserved – including commercial and reprint rights.